Boundless expanses, unfathomable depths… The oceans of the world have fascinated mankind on every continent from time immemorial. Boundless expanses, unfathomable depths… The oceans of the world have fascinated mankind on every continent from time immemorial. And today, impressive reefs and the colorful world of aquatic plant and animal life entice people into voyages of discovery beneath the surface. The Patravi ScubaTec is a watch made for diving and underwater exploration of every kind. In a sturdy case with blue or red highlights and sporty functions, the Patravi ScubaTec is the perfect companion in or out of the water. The Patravi ScubaTec is imbued with passion for the sea, down to the tiniest detail. 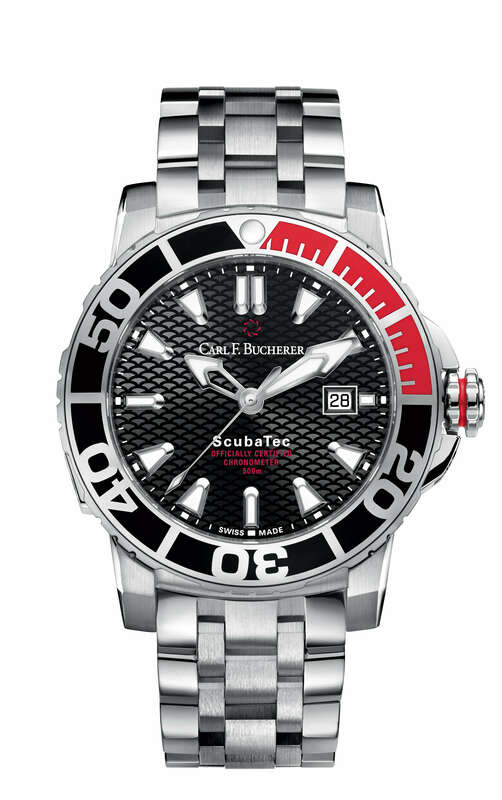 To help protect the threatened manta ray, watch manufacturer Carl F. Bucherer sponsors the Manta Trust charitable organization. As a sign of the company's commitment, two of these impressive creatures are engraved on the back of the Patravi ScubaTec case.